Welcome to Bush Forever – the single most important piece of public policy that protects urban bushland. Bush Forever is a comprehensive, world class plan for the protection of our unique biodiversity on the Swan Coastal Plain. However, its implementation is incomplete. This unfinished business puts our irreplaceable natural assets of unique flora, fauna and vegetation systems at risk. Now is the time to complete it. As you can see from the map below, Bush Forever sites are found all across the Swan Coastal Plain and are representative of each of the 26 vegetation types found around Perth. The map shows the 47 Bush Forever Reference Sites which are representative of the 495 sites in total. Why do we need a Bush Forever plan? 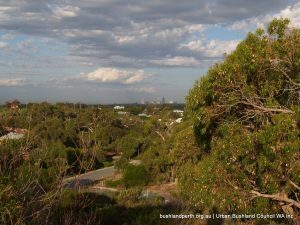 Bushland is defined as land on which there is vegetation which is either a remainder of the natural vegetation of the land, or, if altered, is still representative of the structure and floristics of the natural vegetation, and provides the necessary habitat for native fauna. 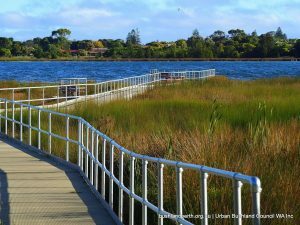 Perth’s bushland holds a wide range of values which contribute strongly to our ‘sense of place. However, Bush Forever sites amount to just 18% of the original bushland of the area. This precious bushland is under threat from fire, weed invasion, land clearing and ground water depletion. Inadequate management practices, poor funding and lack of legal protection add to these threats. Bush Forever was planned to be fully implemented by Government by 2010, including the provision of funding for Bush Forever site acquisition through the Metropolitan Region Improvement Fund (MRIF), administered by the Western Australian Planning Commission. Despite this, completion of the implementation of Bush Forever is now 7 years overdue. In addition, a Strategic Assessment Process for the Perth Peel Region (SAPPR) is underway. Through this process, guidance will be provided for the growth and development of the Perth region with a population anticipated to grow to 3.5 Million people; and where protection is required for 10 threatened ecological communities, 12 threatened fauna, 39 threatened flora, 3 Ramsar wetlands and 28 migratory shorebirds! You can find the detailed Bush Forever policy documents on the Planning Western Australia website (including all site descriptions). You can download the complete list of Bush Forever sites and their land managers here. And you can refer to the policies and processes critical to Bush Forever page here. You can find our Bush Forever call to action here!